Gionee the Premium Chinese vendor has launched new Smartphone in mid-range price range basically to compete with Moto G (2nd Gen). 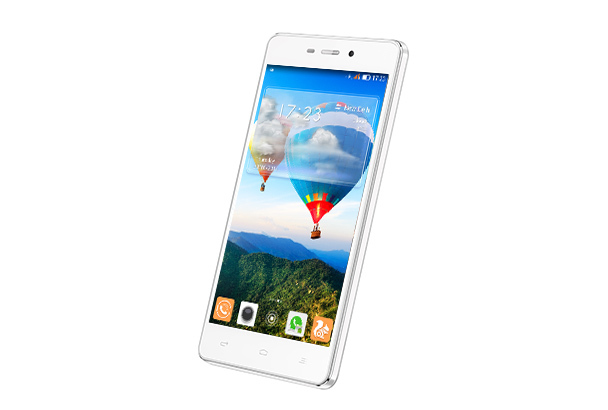 Gionee Marathon M3 has a 5-inch HD IPS Display, 1.3GHz Quad-Core CPU, Dual SIM, 8 MP rear cameras and 2MP front camera. The Marathon M3 run on Android 4.4 KitKat and comes with monster 5000 mAh battery. This phone will fulfill the demand for those who need smartphone with longer battery life. The Marathon M3 promises 32.46 hrs. talk time on 3G and 51hr talk time on 2G. The standby time is 32.8 days. The device comes in with an OTG Reverse Charge to help you attend calls even if the battery of some other phone is running low and OTG Data Transfer where you can plug in the files and view directly on your phone while you are on the go. The device also comes in with a very interesting feature ‘Hotknot’. The feature allows two phones to exchange photos and videos in an instant as long as the two screens are put together. The phone also comes with 1GB of RAM with 8GB of Internal Memory and with an expandable memory up to 128GB. Mr. Arvind Vohra, India Head, Gionee Smartphones said,” It gives us immense pleasure to bring the much awaited Marathon M3 to India. I am delighted to present our consumers with our latest device that is sure to create a new benchmark in the smartphone market. We have introduced this for discerning consumers who love to be connected on the go and are in the lookout for powerful devices. Along with a strong battery we have also introduced a set of new innovative features like the OTG Reverse Charge or the OTG Data Transfer to enable our consumers with seamless communication. With every product we introduce we have been trying to make communication simpler and faster and our endeavor remains the same with the Marathon M3”. The Gionee Marathon M3 will be available at MOP 12,999 in India. Its very nice device in under 15000 INR range . I am thinking to buy this phone.